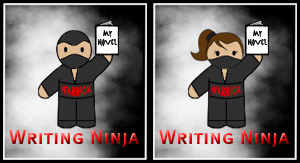 When Ali Cross first started the writer's dojo in 2008, she did it as a way to keep the glory of National Novel Writing Month alive all year long. She loved the camaraderie and support she received during the month of November and desired that same feeling of community every month of the year, in every aspect of writing--not just the drafting. I have heard so much about Ali's Dojo. Should I join? Maybe I should. You should! A few of us had a great live chat/writing session this morning and I got over 25 pages edited during it! Sounds great, heading over there right now! It would be wonderful to have you among us Yelena! Ooh, I saw this a few years back and tried to join but didn't quite understand how it worked. I love the communities idea for different phases of writing and publishing! I'll have to check this out again. I'll look for you over there Katrina! Sounds awesome though I don't know if I'll be able to join with my work schedule. I completely understand. It's pretty relaxed though, just a group of writers coming together to motivate each other. No pressure Natalie! I might have to join a couple of rooms lol!! We'd love to have you over there Angela! I love this kind of writerly energy. Awesome. Thanks for letting us know, Heather. Had a great time writing and chatting with you today! I'll have a room open Wed. I'll send out the invites and reminders. This is GREAT! I'm heading that way now. Thank you! !